Annual Eagle Scout Recognition Dinner – Register Today! Are you interested in being the Class of 2018 Eagle Scout Speaker at this year’s recognition dinner? Any Scout who earned the rank of Eagle in 2018 is eligible to become the Class of 2018 Eagle Scout Speaker. The Eagle Alumni Committee of the Cradle of Liberty Council is pleased to announce that at least $4,000 in Scholarships will be awarded to Eagle Scouts who will be heading to college or a post-high school technical school in the fall. Candidates must be an Eagle Scout, meaning all requirements have been met, and the Board of Review has approved the individual to be an Eagle Scout. Candidates must be graduating high school the current year. The Scholarships will be presented at the Eagle Recognition Dinner in the Spring. Those chosen to receive a scholarship will be notified in late April. a Scout to a religious institution, a school, community, or other entity. The award recognizes the Scout for his Eagle Scout service project, which is part of the requirements for earning the Eagle Scout Award. Each local council will choose a council-level winner. NESA is young men searching for dynamic and challenging leadership roles. NESA is older Eagle Scouts who desire using their efforts and influence toward forming the kind of young men America needs for leadership. 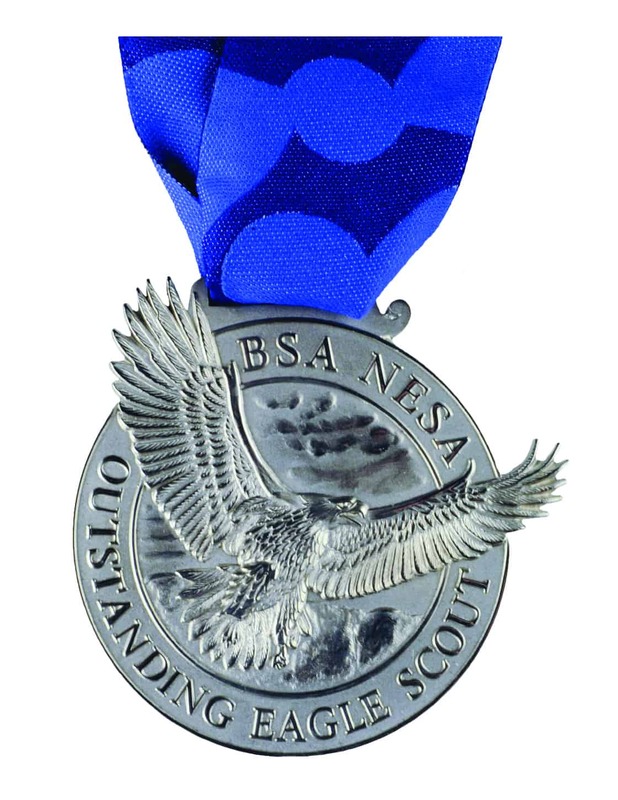 The objective of NESA is to serve—to serve Eagle Scouts and through them, the entire movement of Scouting. In 2011 the National Eagle Scout Association created the National Outstanding Eagle Scout Award as a way to recognize adult Eagle Scouts who have demonstrated outstanding achievement at the local, state, or regional level. This can include exemplary volunteer service to Scouting and/or in the community, achievement in their professional field, distinguished military service, or other accomplishments over an extended period of time. The nominee must currently live within the boundaries of the council but does not have to have earned his Eagle Scout Award as a member of our council. The Cradle of Liberty Council Eagle Scout Alumni Association is pleased to announce the release of a special limited edition Eagle Scout Council Shoulder patch that can be worn by Eagle Scouts. 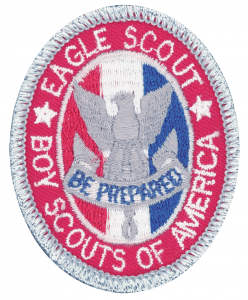 These special edition Council patches will support the Annual Eagle Scout Scholarship fund. This special Council Shoulder patch was designed for wear by Eagle Scouts and is available for $10 to anyone who wants to support the Eagle Scout Scholarship Fund of the Cradle of Liberty Council. A limited quantity of 50 with a special gold mylar border are also available and are $50 each.